A surge in the use of smartphones and tablets to manage everyday needs has also increased the demand for a reliable recovery utility. If you are using an Android device to capture pictures, manage important contacts, or to store documents, it is essential to have a tool for retrieving this data if something goes wrong. Has a recent file deletion or operating system crash resulted in information loss on your smartphone or tablet? Believe it or not, data loss is just as common with mobile devices as it is on a standard computer. Dr.Fone is compatible with a number of Mac OSX versions and Android devices. 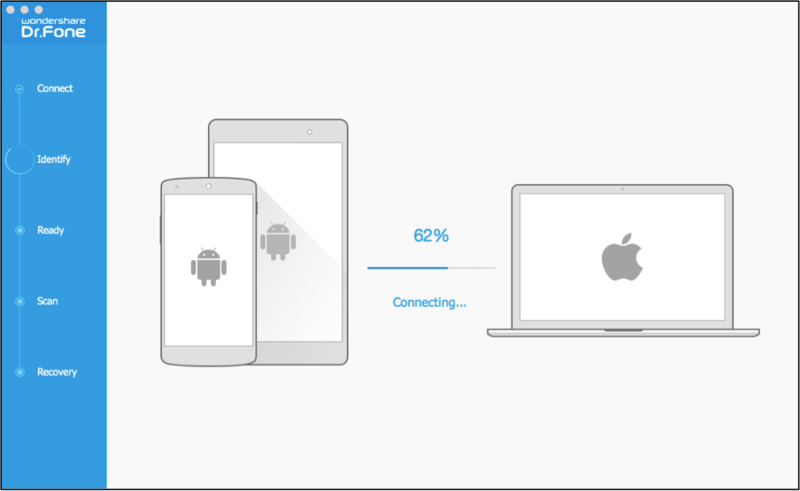 To being, simply connect the Android device to your Mac computer and then open the utility to begin data recovery. • Restore Specific Types of Files – Dr.Fone may be used to scan for and recover one or more file types such as contacts or gallery images. All you need to do is check each file type to locate for recovery and the utility will scan for those specific items. • Choose Individual Files for Retrieval – If you only want to restore specific files to the device, individual selections can be made after the scan. Dr.Fone delivers a simple interface for selecting one or all located files for retrieval. • Preview All Data Before Recovery – Once scanning has completed, you will be able to view each file located by Dr.Fone. Within the utility, simply select a file type to view each individual file and determine what should be recovered to the device. • Use Search to Locate a Specific File – A Search Bar is provided to type in the name or extension of a specific file for recovery. This may be used to locate one or more items by name rather than type. 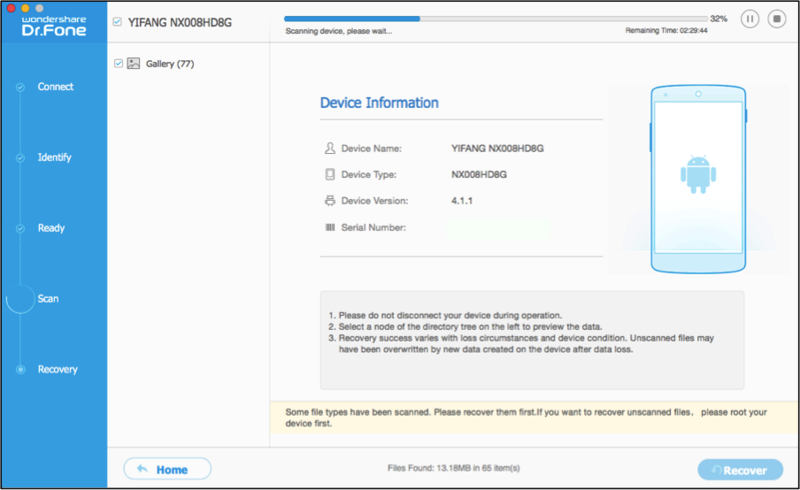 • Several Data Retrieval Mode Choices – Dr.Fone provides both standard and advanced recovery modes to ensure you can find exactly what is needed for restoring data to the device. 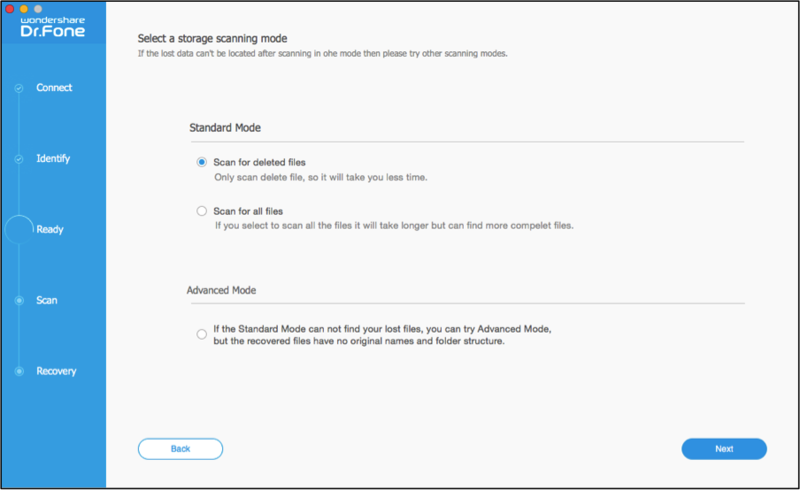 Use the standard modes to locate deleted items or all recoverable data. This utility provides several file type options for restoring data to an Android smartphone or tablet. One of the most common recovery needs is the ability to recover images. The following tutorial shows how to quickly salvage lost or deleted images on an Android tablet (or smartphone). Step 1 Uncheck All File Types But Images. The utility automatically chooses every recoverable file type for scanning; however, for image retrieval all you need to do is ensure that Gallery is selected for scanning. You will need to click on Next in order for Dr.Fone to analyze the device and begin scanning for recoverable data. Step 2 Choose the Recovery Type. Next, you will need to select the recovery mode to use for this process: Scan for Deleted Files or Scan for all Files. 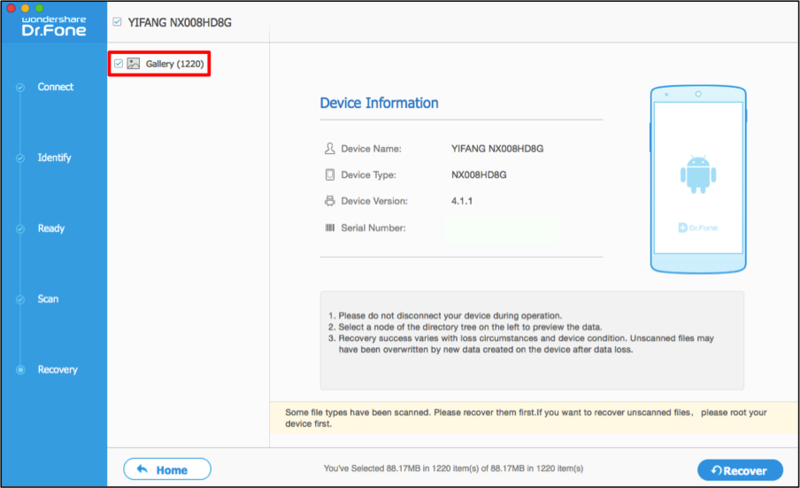 To only locate items that have been deleted on the device, make certain Scan for Deleted Files is selected and then click on Next. Note: Advanced mode should only be used when the standard options are unable to locate the data. Step 3 Wait Patiently for Dr.Fone to Scan the Device. 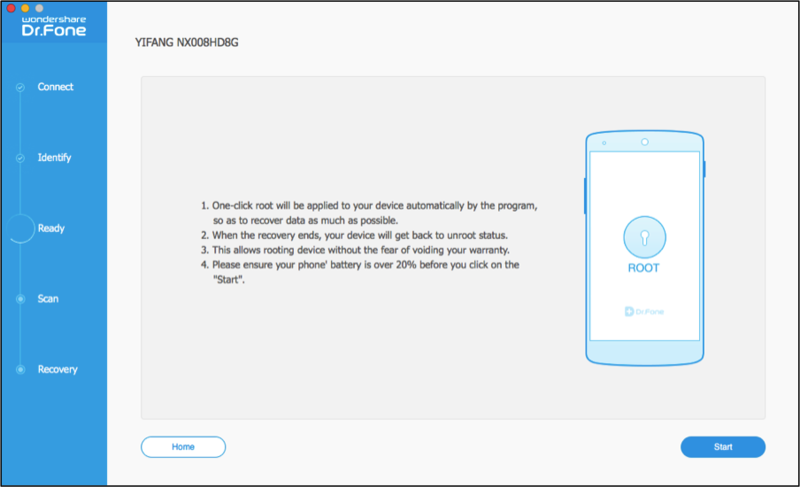 Click on Start to allow Dr.Fone to root the device and start the scan. 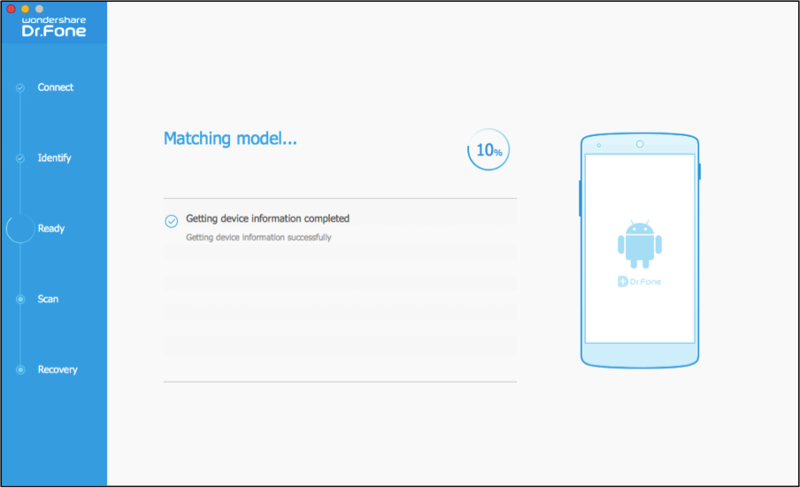 Then wait patiently as Dr.Fone analyzes the device, matches the model, and applies the one-click root for the connected smartphone or tablet. After this has finished, the scan will begin automatically and you will be able to see its progress at the top of the window. You can pause the scan at any time and then resume it when it is most convenient. Use the left panel to monitor each file type and view any files located by Dr.Fone during the scan. 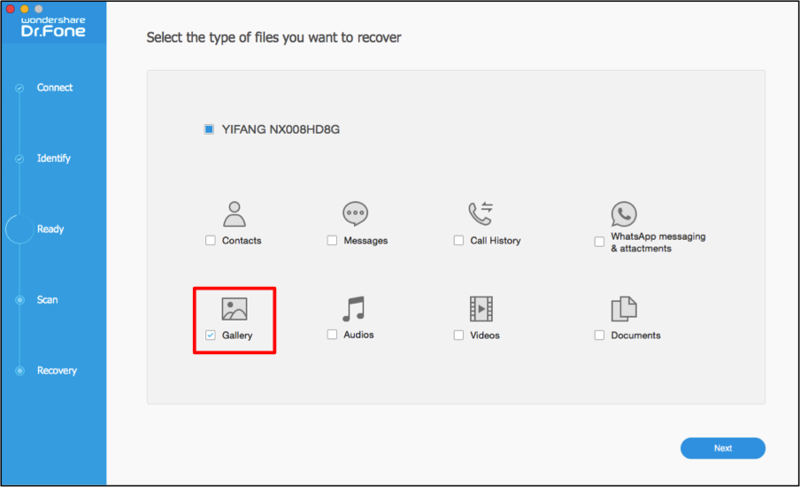 In this recovery example, only Gallery Items (Images) are being scanned for retrieval. Step 4 Preview & Select Items to Restore. A total file count will be displayed in the left panel and a checkmark will automatically reside next to the Gallery file type. Click on Recover if you want to restore all images to the connected Android device. If you do not want to restore all images, then click on Gallery in the left panel and available photos will appear to the right for making individual selections. This will allow you to preview each image within the utility and to make more specific recovery choices. Images displayed on the right side of the utility automatically default to a thumbnail view. The format may be changed by clicking on one of the view icons located in the top right of the utility. To make individual file selections, check or uncheck the check box for each file on the right side of the screen. Step 5 Finish the Recovery Process. After making selections you will need to click on Recover in the bottom right of the utility to complete the restore. 1. Select File Types to Find. 2. Choose a Mode for Recovery. 3. Wait for the Scan to Complete. 4. Choose All or Individual Files for Recovery. 5. 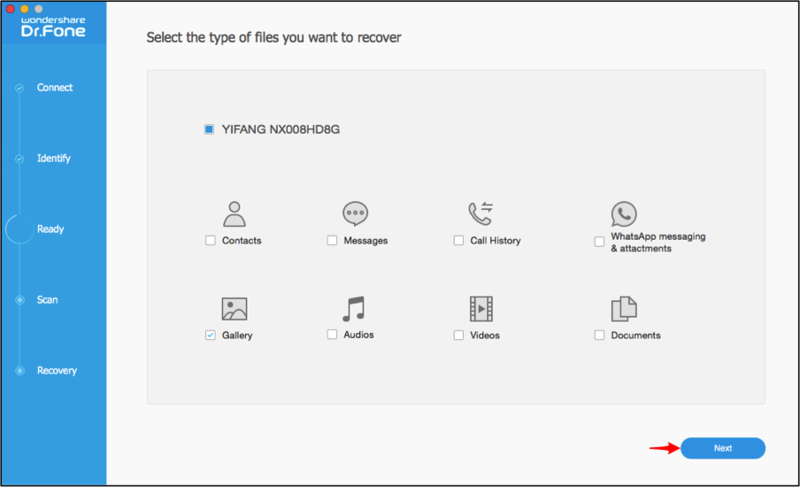 Finish the Restore by Clicking on Recover.